FEATURING THE JENSEN FF – NATURALLY ! Lets go back to 1967. A young schoolboy of 12 would walk the mile or so to school and back each day. On one occasion when walking to school, the boy saw a gleaming white car up ahead. This was no ordinary looking car, this looked more like something from outer space – particularly with the incredible back window that was coming plainly into view. As the boy approached the car, he stopped, then slowly moved around it, so he could take in the shape. Stopping at the front, he looked at the red enamel badge with the name Jensen picked out in black. The front grille also had an enamel badge with the word Interceptor picked out in silver. 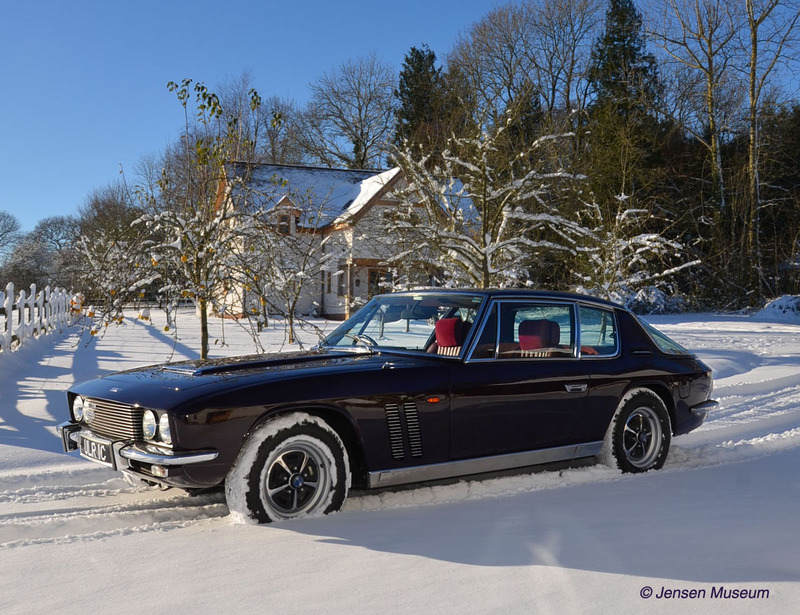 Taking a pencil and a piece of screwed up paper from his blazer pocket, the boy wrote down the name Jensen Interceptor, placed the paper in his top pocket, and then – after lingering for as long as he could – continued on his journey to school. Now in danger of being late, the fast walking was still interjected with occasional slow-downs, as every now and then, the paper came out of the top pocket, so he could read the car’s name again. The young boy was Ulric Woodhams. He arrived at school late (although this by no means the first time), and had to make his usual ‘commando’ style run around to the side of the school, where he could climb the wall, and escape the prefects. Typically they would be waiting by the main gates to take the names of late-arrivals, and inevitably, this would lead to a caning. 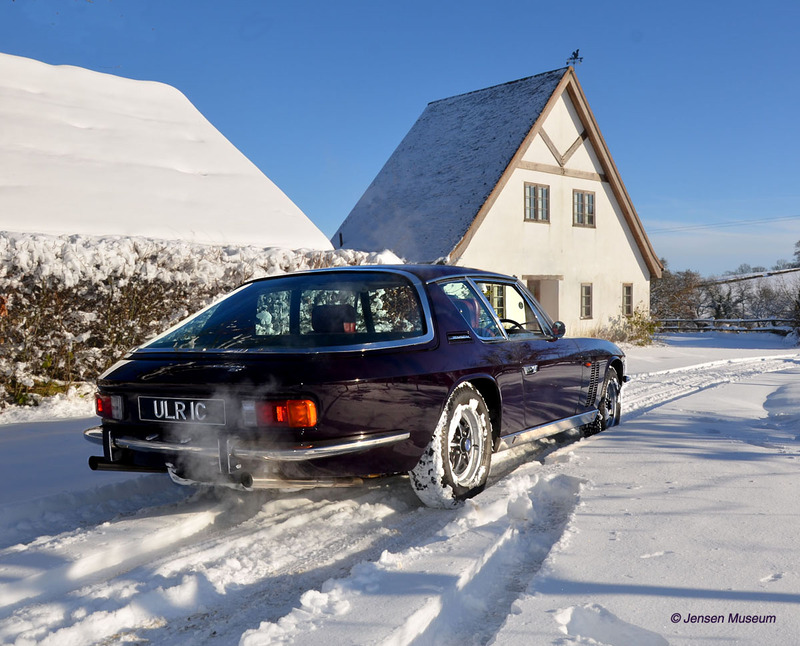 This visionary white Jensen Interceptor had a profound effect on the young Woodhams. That screwed up piece of paper remained in Woodhams’ top pocket for the rest of his school days, eventually being lost in the mist of time (what a shame !). Although the piece of paper was lost, Woodhams’ memory of that Jensen wasn’t. Leaving school at 16, Woodhams was keen to get to work, and to earn money. A simple promise had been made to himself – Woodhams would own an Interceptor by the time he was 21. Good to his word, Woodhams purchased his first Jensen in 1976, at the age of 21, and joined the Jensen Owners’ Club that same year. Quickly developing an interest in the Jensen FF model, Woodhams immediately set about creating a register of these unique and rare cars, and acquired his first one in 1979. Over the decades, this register evolved into an archive in its own right, with details of each car held in chassis number order. Between 1995 and 2015, Woodhams was the Jensen FF Registrar for the Jensen Owners’ Club, and today is the leading authority on the FF model. In 2003 Woodhams founded The Jensen FF Museum. This privately owned museum housed the archive, along with the small, but internationally important collection of Jensen FF cars. A website, allowing public access to information also went up in that same year. There is no doubt, the level of public awareness The Jensen FF Museum gave to this single model, put this car in historical context, and led it to be a trending vehicle for classic car collections throughout the world. By 2015, the collection had enlarged, and included other Jensen models. Work started on the design of a new on-line website – simply named The Jensen Museum. The site would be the methodology where information sharing could be taken to a new level. Its focus would no longer be on one single model, it would embrace all Jensen Models, along with the history of Jensen Motors and its employees. The Jensen Museum website went live in 2016. Today, while continuing to remain privately owned, The Jensen Museum is underpinned by a more strategic approach. The Museum has a Mission and Vision, is on-line visitor focused, and can readily adapt to change. Talks with the curator of the British Motor Museum took place in late 2017, leading to the first loan between the two Museums in summer of 2018. The flamboyantly painted mango Jensen FF chassis number 127/225, would be the first car from the Jensen Museum, which the general public could have access to. Until recently The Museum had focused solely on the Jensen FF Model. This Collection, albeit small, is both nationally and internationally significant. It is also unique. While the Jensen FF model remains central to The Museum, it has now broadened The Collection to encompass other Jensen Models, which underpin the rich heritage of Jensen Motors. The Museum holds examples of Jensen FF cars from 1967 through to 1971. This includes all major changes to design known as the Vignale MK.I, West Bromwich MK.I, MK.II & MK.III. The Museum also holds historical Jensen FF cars, such as the car which was dramatically driven up a Swiss ski-slope by motoring journalist, Michael Scarlett, the car owned by the famous film producer, Elliott Kastner, the so-called Porsche FF, and the car owned by Mitch Mitchell, the drummer with the Jimi Hendrix Experience. In addition, other iconic Jensen models have been acquired for the museum. Highlights include, the 1954 Motor Show ‘Early’ Interceptor, a Jensen demonstrator 541S, two CV8s (one being the so-called ‘Cooper’ car, the other being the Sean Connery car), one of the earliest Vignale manufactured Interceptors, along with a Jensen Healey, and the prototype Jensen GT. Today, the Museum’s archive holds material relating to all models produced by Jensen Motors. See under Archive for further information about the holdings. If you have any information or material relating to Jensen Motors, and the cars the company produced, we would be interested to hear from you.